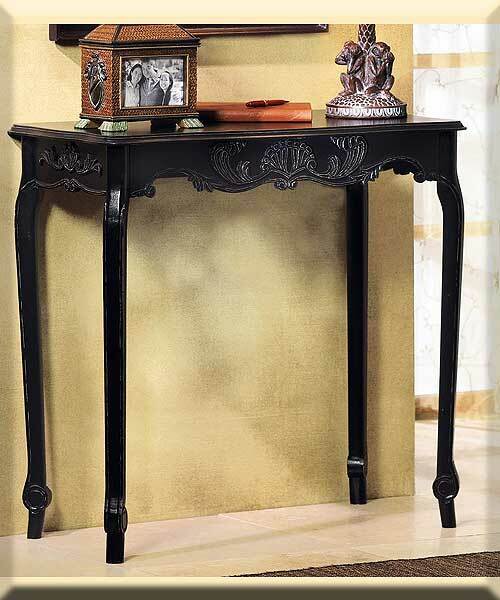 Stock# - 34709 Intricately Carved-Top Table - A must-have for the romantic heart. 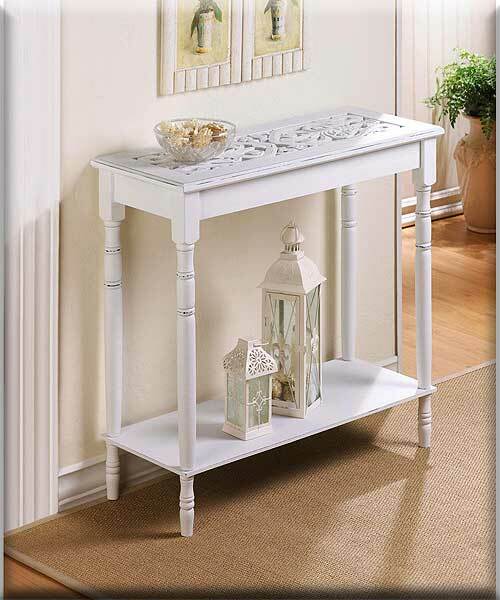 Turned legs and an intricately carved top add rich visual appeal to this enchanting white wood table. Assembly required. 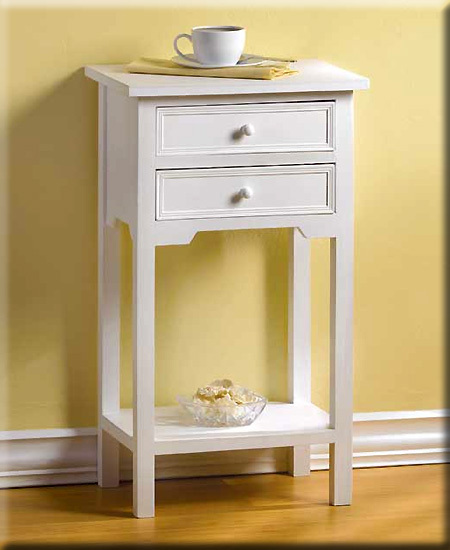 Stock# - 36644 White Table with 2 Drawers - Sometimes the simple things are best, and this 2-drawer, single-shelf wooden table combines a sleek simplicity with versatile functionality. 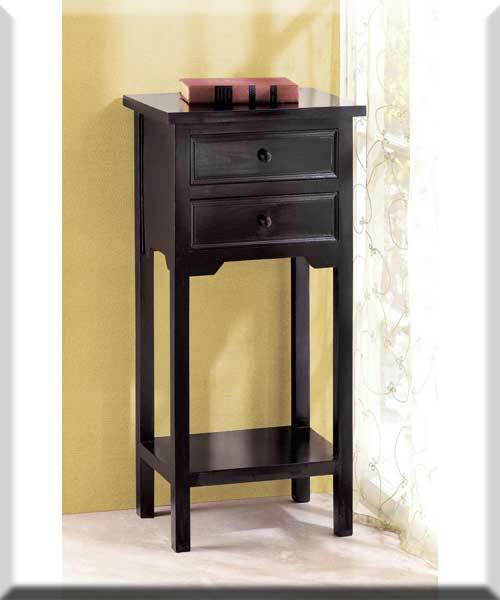 Use it as a side table, a night stand; in the office, the kitchen you name it, it works! 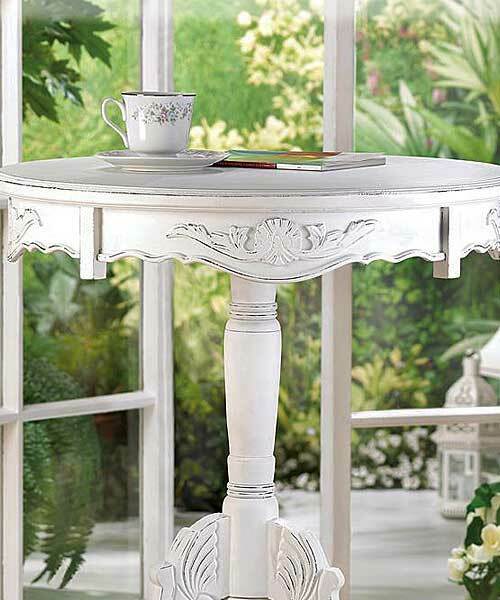 Stock# - 15090 Flourish Pedestal Table - Just say no to boring tables! 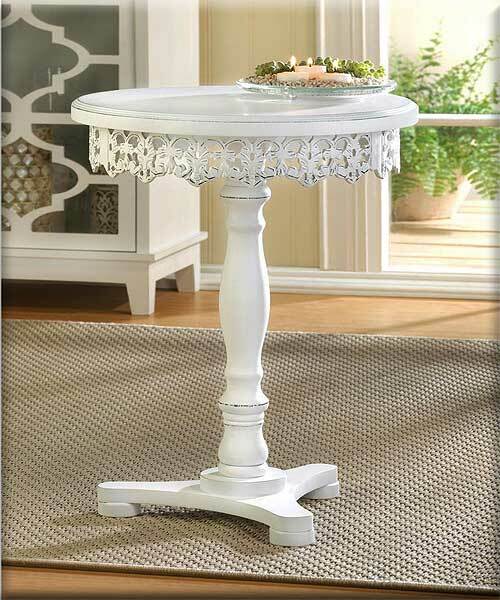 Add dramatic flair to your home with this table s shabby chic finish that perfectly highlights the decorative cut work around the base of the tabletop. 15 3/4" x 15 3/4" x 20 1/2" high. MDF wood.